Due to popular demand, the Company of Actors in Streamlined Theatre (C.A.S.T.) 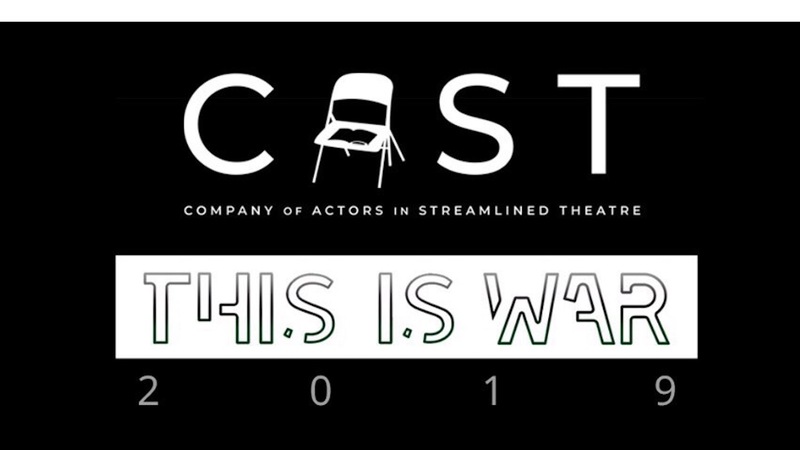 has added more performance schedules for its ‘This is War’ Staged Readings. 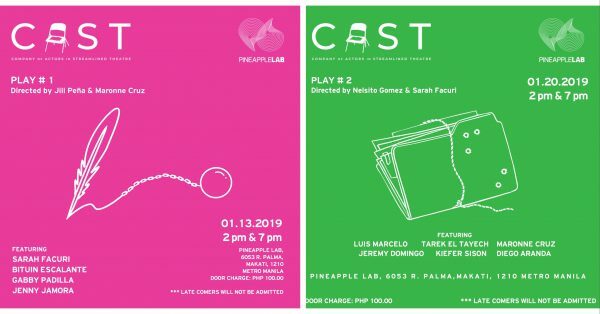 As previously reported, the staged reading series, which will run once a week from January 13 until February 3 (7pm) at the Pineapple Lab, will be having an additional 2pm performance for each show date. C.A.S.T. 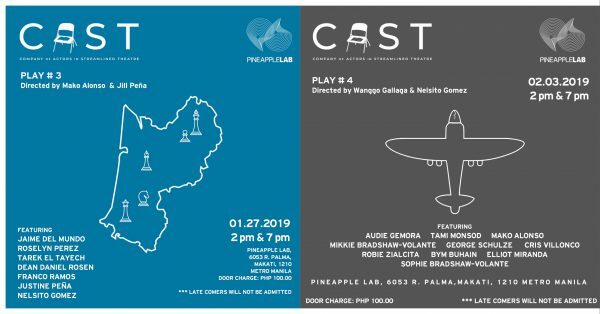 is composed of six professional actors and one professional writer– Nelsito Gomez, Sarah Facuri, Mako Alonso, Jill Peña, Maronne Cruz, Reb Atadero, and Wanggo Gallaga. There will be a door charge of P100. The titles of the plays will be announced at the venue. For reservations, contact 09453167768. There is a limited seating capacity of 70 seats. Late comers will not be permitted. This season is presented in partnership with PINEAPPLE LAB.